This type of connected breathing can help you release blocked emotions, past trauma, unconscious beliefs and negative thoughts. 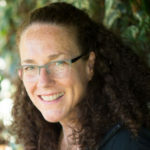 Jeri has facilitated hundreds of clients and has also found this modality to be an incredibly powerful tool for accessing and releasing old injuries, pain and chronic conditions in the physical body. Please bring something comfortable to lie on, a water bottle, a blanket, and your journal. Space is limited to six people, so please RSVP soon! Registration for this class will close at Noon the Friday before class. To register for this event, please click the BUY NOW button at the top left of this page.